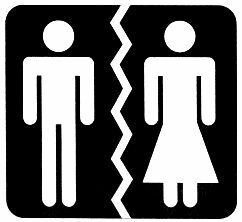 Divorcing one's spouse is never an easy decision. At K. ALEXANDER LAW FIRM, we understand this. If children and property are involved, the results can be disastrous if you do not seek competent legal representation. At K. ALEXANDER LAW FIRM, we handle simple to complex divorce litigation and frequently counsel clients in divorce preparation. At K. ALEXANDER LAW FIRM, you will personally meet with an attorney, who will assess your needs and provide effective guidance. We provide one initial, free consultation. Please call K. ALEXANDER LAW FIRM at 817-917-8863 to schedule an appointment to discuss how we can best meet your needs. At K. ALEXANDER LAW FIRM, we assess each case on its own. Every client and every set of circumstances is unique. We will use our wealth of legal knowledge to determine whether your case requires a caring and delicate approach to a sensitive situation, or more aggressive representation. At K. ALEXANDER LAW FIRM, we have the skillset to obtain the best results available to our clients. If you would like to	work with a legal professional do not hesitate to contact our firm today. Deciding between collaborative law and mediation might make sense for you and your situation. Mediation is one of the most frequently used methods of negotiating a divorce settlement. In divorce mediation, you and your spouse -- or, in some cases, the two of you and your respective lawyers -- hire a neutral third party, called a mediator, to meet with you in an effort to discuss and resolve the issues in your divorce. The mediator doesn't make decisions for you, but serves as a facilitator to help you and your spouse figure out what's best.